Those who recognize that they are addicted without the help of others should be commended. Unfortunately, their bravery can often be nipped in the bud when they attempt to quit on their own and fail. The problem is withdrawal, an insidious part of the addiction process. Withdrawal is often discussed as though it is merely a psychological or physical problem. In truth, it is both in most cases. 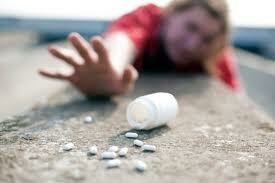 Consider an addiction to pain killers, that manifest as both a physical and mental dependency. The effort to quit the pain killers requires a period of time during which the body divests itself of the drug and its mental and physical craving for said drug. The ability of someone to do this on their own is extremely limited. It is not a matter of will power as so many will tell you. Instead, it is the process of getting through a physical change in the body, a change that takes time and support from third parties. Recognizing you or someone around you has an addiction is the first step to dealing with the problem. The next is to actually seek out treatment. We tend to be a "do it yourself" society when it comes to the problems we face. Addiction is one area where such an approach almost always fails and withdrawal symptoms of the mind and body are the reason. Quitting "cold turkey" might sound noble but it is usually a horrific failure when trying it on your own. The only means to truly overcome an addiction is with professional help. The Coleman Institute is a treatment specialist providing help and support for dealing withe addiction to alcohol, opiates, benzodiazepines, Methadone, and Suboxone as well as overcoming withdrawal symptoms. You've recognized the addiction: now get the professional help that can get you through the withdrawal process with a minimum of fuss!